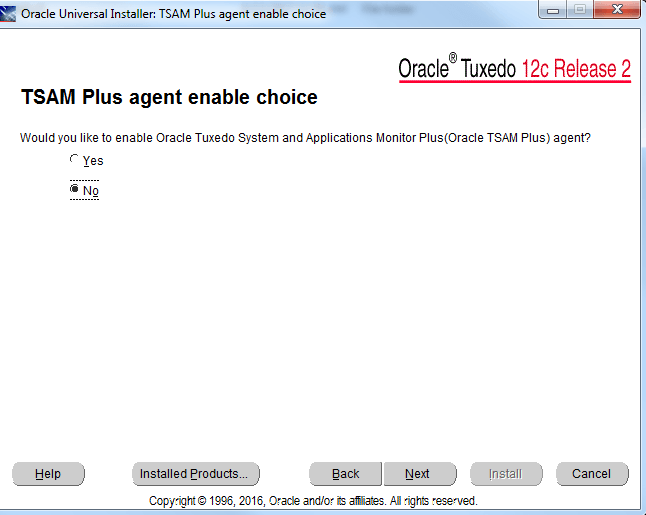 PeopleTools 8.56 is certified to work with Oracle Tuxedo 12.2.2.0.0 on platforms such as Windows 2012, Windows 2012 R2, Oracle Linux 6 and 7, RHEL 6 and 7 among others. 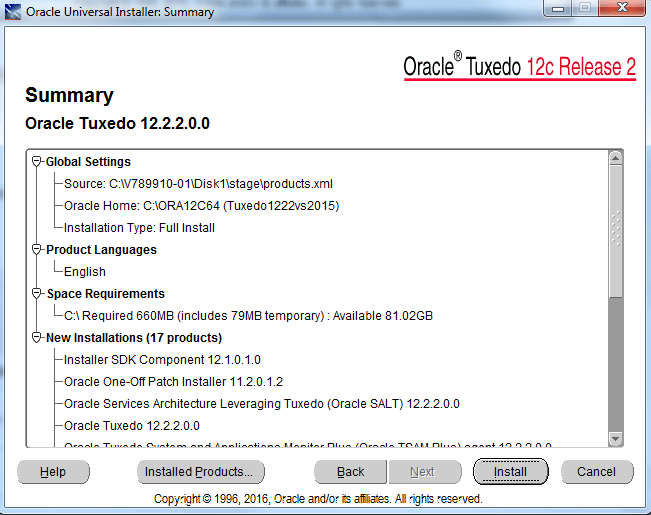 You need to download Oracle Tuxedo 12cR2 from Oracle Cloud. 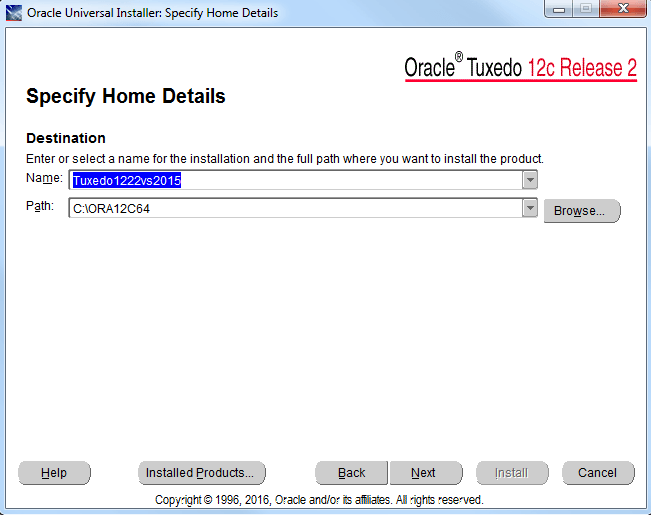 When you download, it will be with the name V789910-01.zip, which you can unzip. 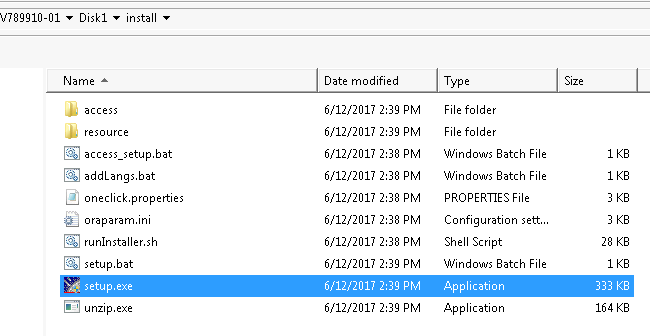 Once unzipped, navigate to V789910-01\Disk1\install and run setup.exe. 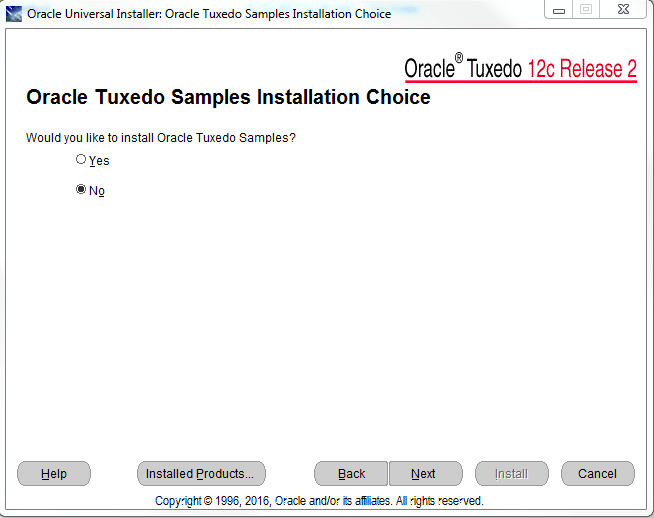 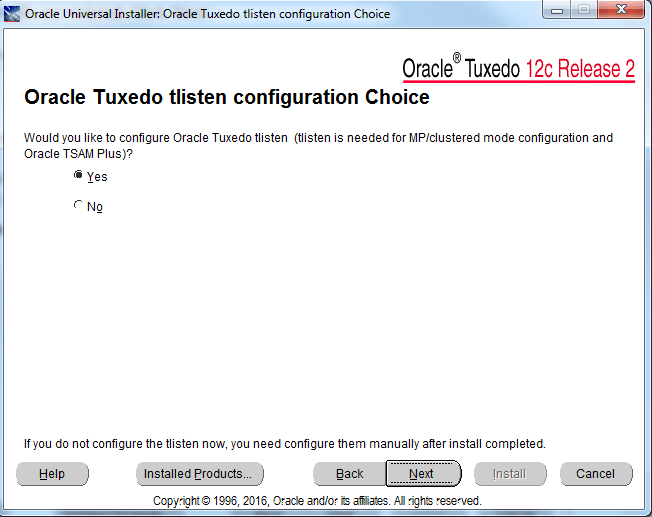 Select ‘No’ for installation of Oracle Tuxedo samples too and click ‘Next’. 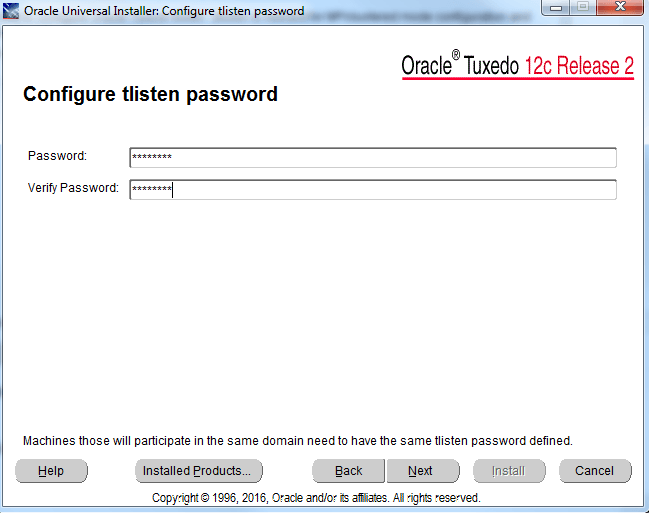 Provide a password for tslisten and save it somewhere. 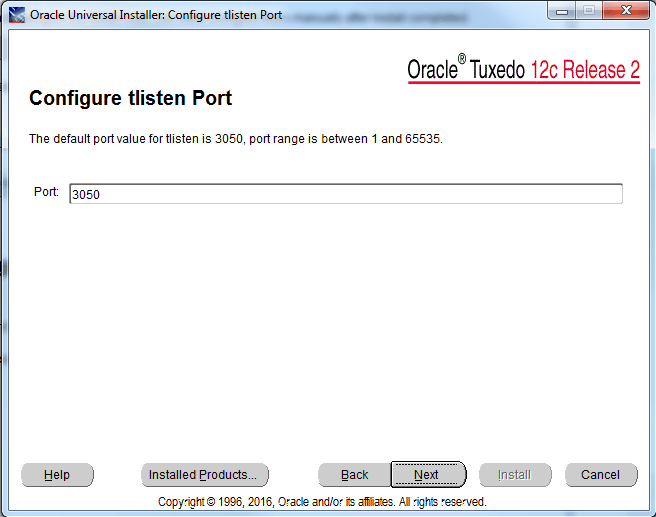 You can either use the default port 3050 or use another one of your choice (between 1 and 65535). 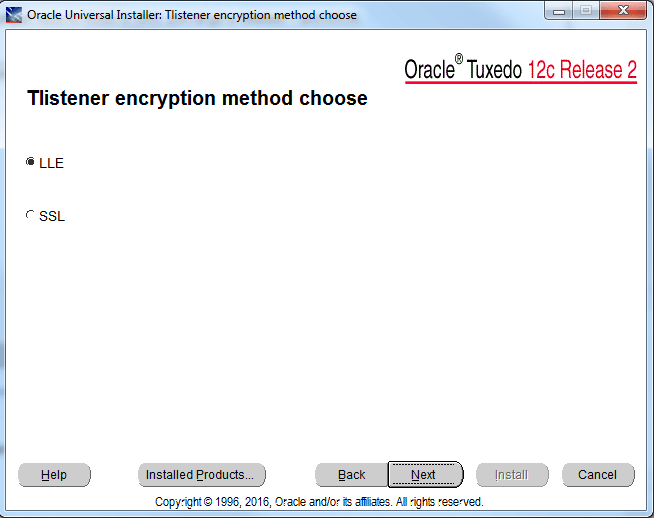 Select ‘LLE’ for tlistener encryption method. 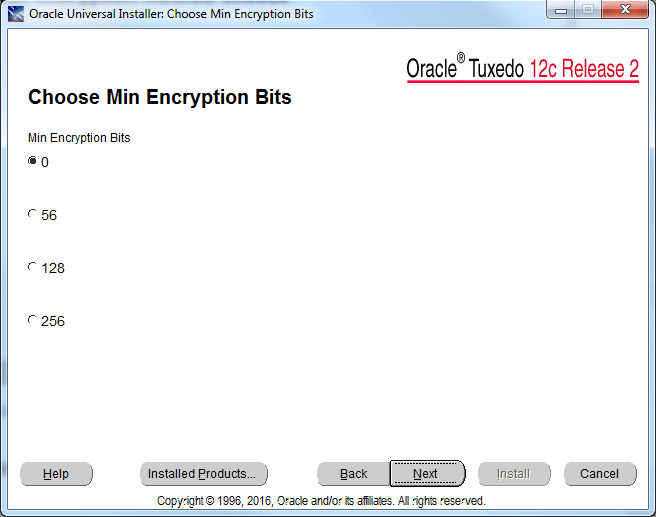 Choose minimum encryption bits as 0. 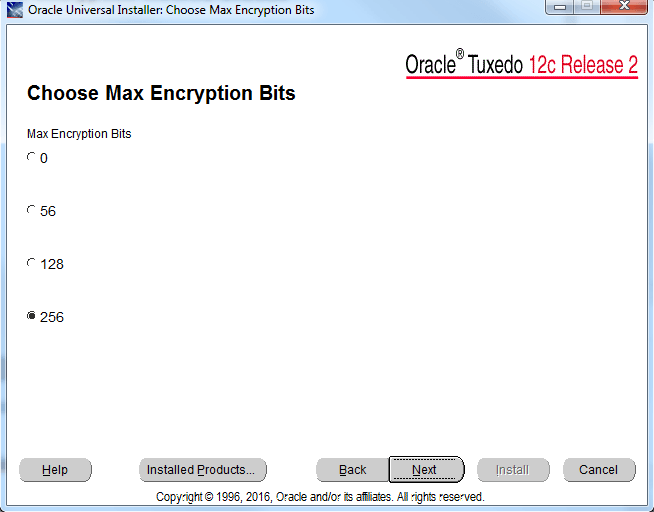 Choose maximum encryption bits as 256. 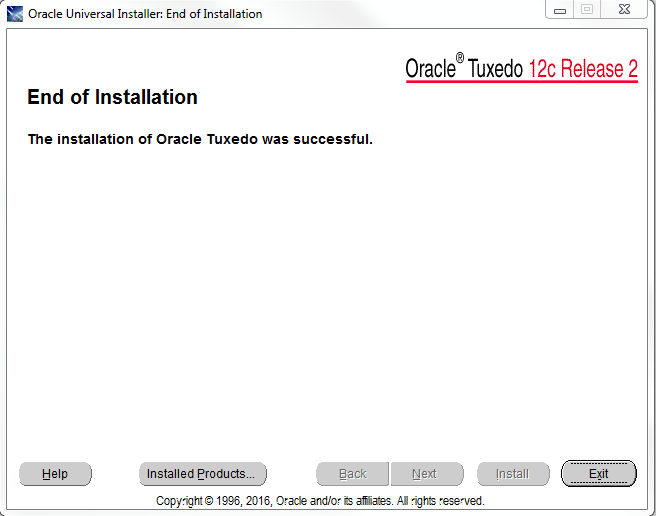 Installation of Tuxedo will be finished. 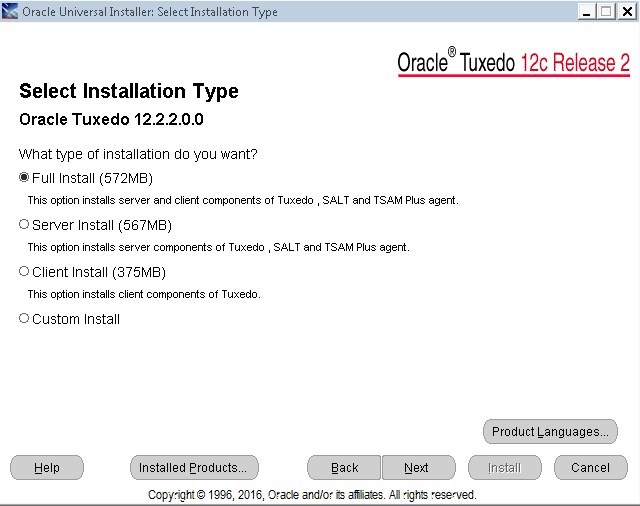 Verify the successful installation of Tuxedo by looking for errors in C:\Program Files\Oracle\Inventory\logs\installActionsyyyy-mm-yy_01-52-22PM.log and whether the Oracle Tuxedo service is started. 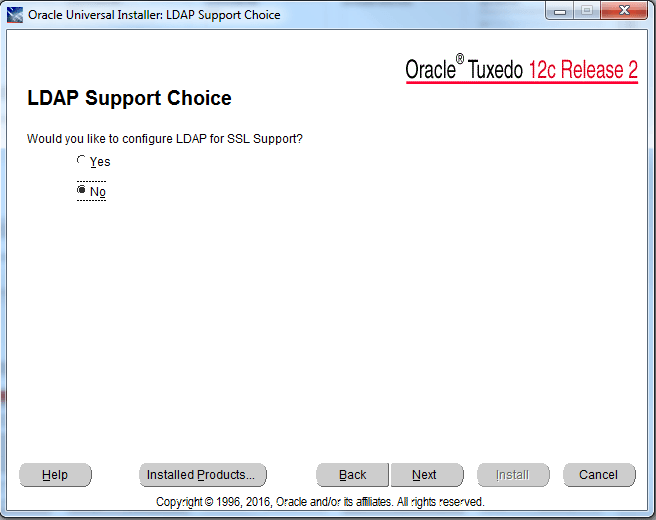 For your PeopleSoft application to work as normal, you’ll need this service to be up and running always.